Welcome to my stop on the Happily Ever After Giveaway Hop, hosted by I Am a Reader, Not a Writer, and Murphy’s Library. This hop officially starts on October 9th but I’m posting mine early! Growing up, I was a very girly girl (still am) and I loved nothing more than losing myself in fairy tales. If I wasn’t reading, I was pretending I was a princess (still do…I wore a tiara at my wedding). 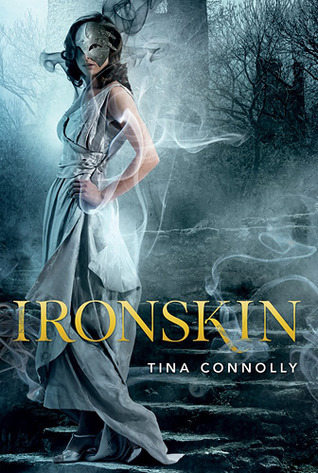 CLICK HERE TO WIN A COPY OF IRONSKIN! Posted on October 7, 2012, in books, free, Giveaway, reading. Bookmark the permalink. 23 Comments. I like the sound of this book. Its cover is gorgeous, and the premise is pretty cool. I can’t wait to get my hands on a copy! (probably the public library’s copy). Thank you for the post and giveaway! Looks like a great book. I love the cover. Iron Skin sounds great specially since Jane Eyre and Beauty and the Beast are one of my favorite stories. Sounds like a great book! I like both storys of Beauty and the Beast and Jane Eyre. Thanks for the chance to win! I’ve had this book on my wishlist for a really long time and have been putting it down as the book I’d love to win. Ah! ❤ Thank you for the opportunity to win it! Aaaaaah I want this book so badly! Been wanting to read this for some time. It was a WOW of mine way back. 😉 Thanks for the giveaway! I’m excited to read Iron Skin~ I think it sounds great! I’m just beginning to see this book around the blogs! Can’t wait to read it! This one sounds interesting! Thanks for the giveaway! Love the cover and it sounds interesting, Thanks for the chance at this great giveaway!! I have actually never read Jane Eyre, so I guess I would have to read it first, but this looks like a great retelling. Thanks for the giveaway! I’ve had my eye on this one!! This does look interesting. Thanks for being part of the hop. I’ve been dying to read this book, I hope it’s as good as it looks. Belle is also my favorite Fairy Tale character. I would love to read this book. Thanks!